If you ever wondered why conservative principles are dying in America, look no further than the church. Truth is, it’s the same way that conservative principles have died throughout history – it’s not the outside liberal forces that kill them. They rot from within. Once conservatives stop believing their own principles, the liberal takeover is only a matter of time. It’s why you should probably be worried at the discovery that more than four out of five American Catholics don’t believe that Satan even exists. It’s the greatest trick the Devil ever pulled. The United States Conference of Catholic Bishops should give itself a big, fat round of applause over the bang-up job it has done catechizing its flock. Not only do an overwhelming majority of U.S. Catholics disobey Church teaching regarding sexuality, a new poll shows that eight in ten U.S. Catholics now believe that Satan — the origin of evil itself — is just a symbol more akin to that of Santa Claus than an actual being. 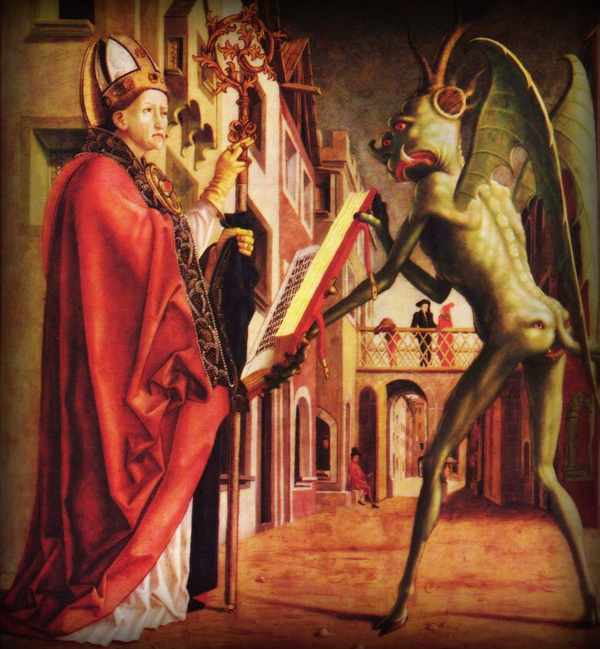 The Church’s official position – of course – is that Satan is a real being. That nearly every Catholic still doesn’t believe that tells us one of two things: one, that most people don’t bother checking their facts; and two, that the rest of them do check their facts, and simply don’t care. I wasn’t the only one to come to this conclusion, either. Virtually all U.S. polls show that a majority of American Catholics do not follow Church teaching, and that is because the West has a preponderance of people who have zero understanding of the labels they adopt. Similar to Judaism, far too many people call themselves “Catholic” without realizing that being Catholic means accepting Catholic teaching. Catholics believing in Satan’s existence [are] exponentially more likely to support pro-life initiatives and other moral causes. They [are] also shown to lean more conservative politically. The solution here isn’t simple, or easy. But it starts with more open displays of faith in action – even if liberals lose their minds over it. Trump may be the beginning of the rebirth for the American church. WHAT?! Muslim And Former Obama Official Thinks CHRISTIANS Deserve This SICK Punishment! HORRID! Man Wearing Cross ATTACKED by Muslim Thugs Cursing Jesus!